The Fender Telecaster guitar is one of the most popular solidbody electric guitar ever made, and is the solidbody guitar that started it all. Early models (pre-1965, known as "pre-CBS" models, since CBS bought Fender in January 1965) are the most collectible. Originality and condition are the two most important features of a vintage Fender guitar, and Fender Telecaster, Nocaster, Broadcaster, and Esquires (Teles) do seem to have been easily modified (due to their "bolt together" nature). Serial number range for the 1957 Fender Telecaster are generally 16000 to 25000 (some numbers with a "0" or "-" prefix) and is stamped into the rear metal neck plate. The serial number range for the 1958 Fender Telecaster is generally 25000 to 30000 (some numbers with a "0" or "-" prefix), again on the neck plate. If you need to figure out the exact year of your pre-CBS Fender Telecaster, use the serial number and the general features of the guitar. See the Fender Serial Number Info web page for help determining the year. 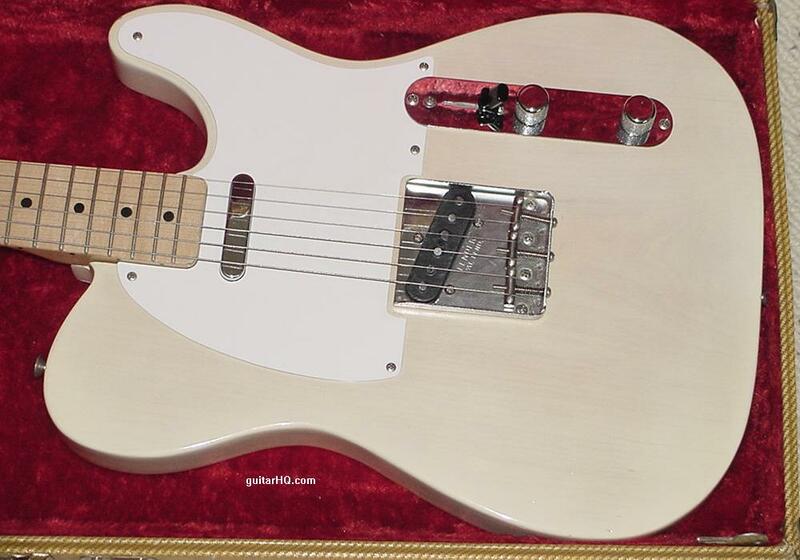 See the next year's 1959/1960 Fender Telecaster guitar. 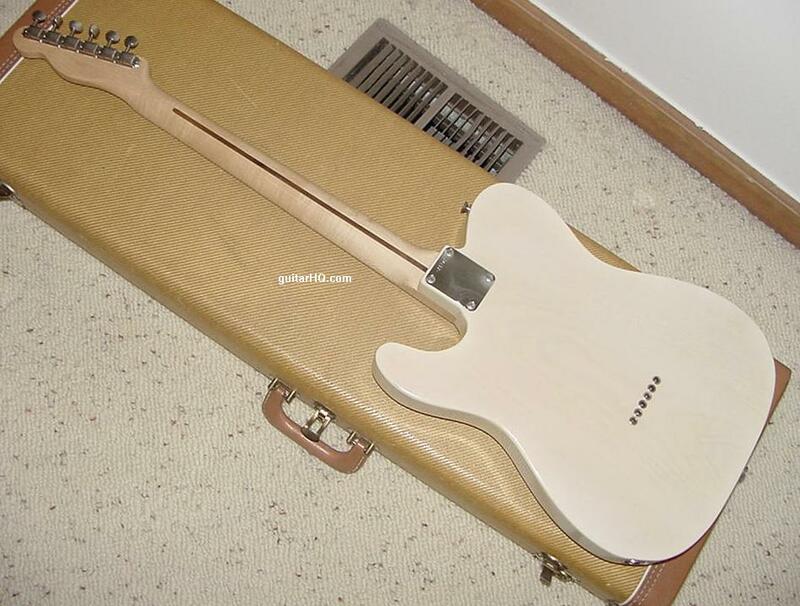 See the previous year's 1956 Fender Telecaster guitar. 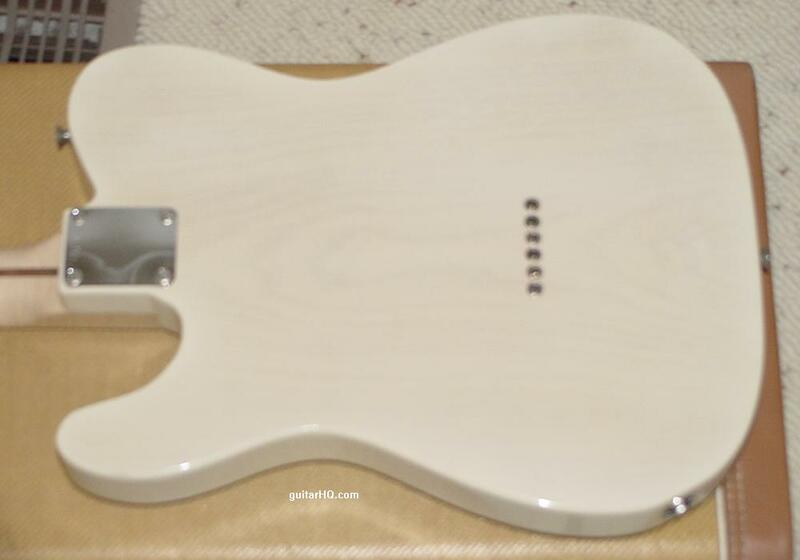 Most 1957 Teles have a neck with a "strong V" backshape. Sunburst finish done on a small batch of Telecasters, and then discontinued. Bridge saddles change from smooth to threaded saddles. Also the angle of the string height screws changed back to be about 90 degrees. 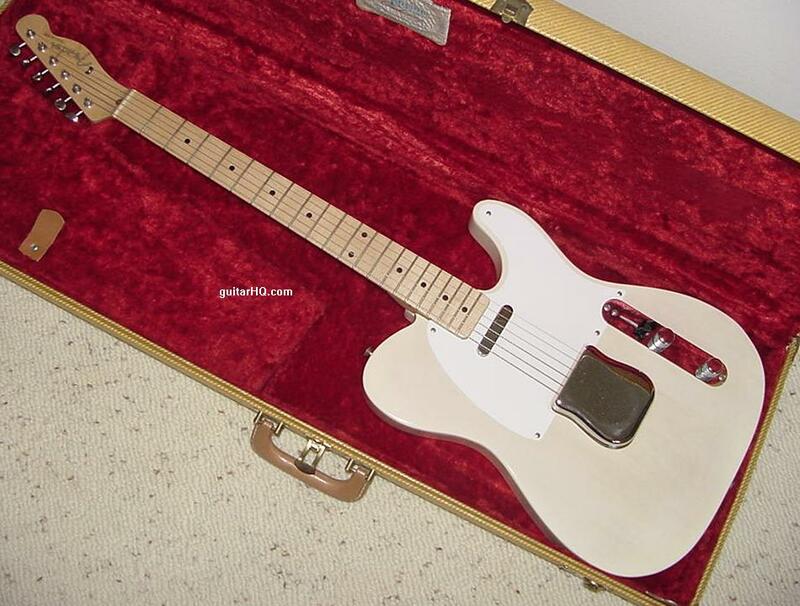 A 1957 Fender Telecaster with an original tweed case.